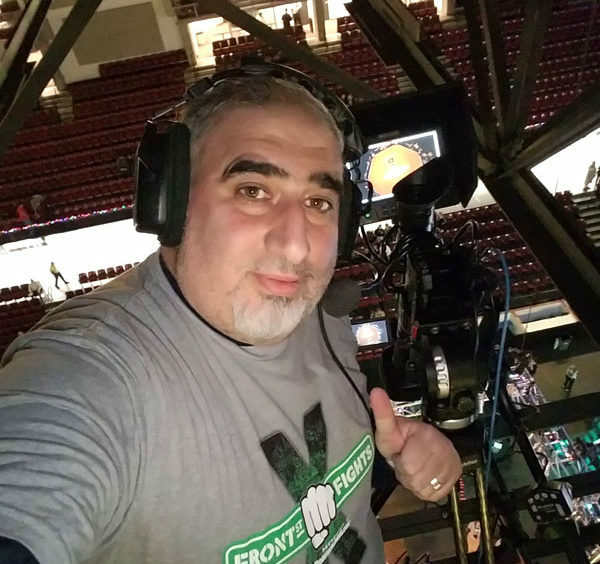 His hard work paid off when, just one month later, facilitated by GTI and the Idaho Department of Labor, Nameer was offered an internship as a cameraman with Cable ONE Television and Idaho Sports Properties providing live video coverage of Idaho Steelheads hockey games. His internship was a success and he was then hired for a part-time position with the same companies and expanded his coverage to other sports in local arenas. Because his job was part-time, Nameer needed to secure additional work to make ends meet and support his family. Through networking and his connections with Global Talent Idaho and the Idaho Department of Labor, Nameer secured a part-time internship at Full Circle Exchange providing photography and videography content for their online presence. Through this internship he developed additional skills in lighting, photo and video equipment, and online content needs. Once again, his hard work, dedication and networking paid off, and soon after his internship with Full Circle Exchange ended, Idaho Public Television hired him as a studio camera operator with an additional assignment to cover the 2016 legislative sessions at the Capitol. As time permits, Al Rubaye does free-lance photography and videography for websites and special events as he looks to the future and his ultimate goal of one day creating and owning his own business.